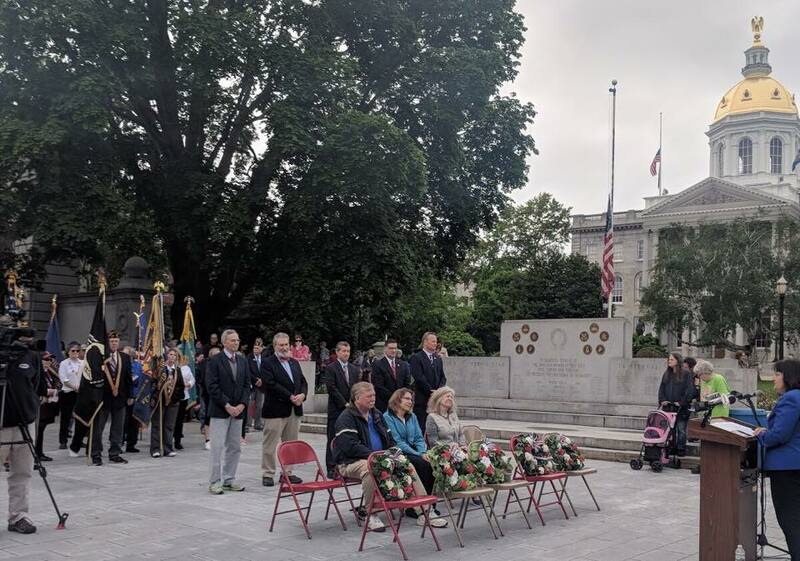 (Washington, DC) – Today, Congresswoman Annie Kuster (NH-02), the Ranking Member of the House Veterans’ Affairs Subcommittee on Oversight and Investigations, joined members of the VA Committee at the White House for the signing of the VA MISSION Act by President Trump. (Manchester, NH) – Today, Congresswoman Annie Kuster (NH-02), the Ranking Member of the House Veterans’ Affairs Subcommittee on Oversight and Investigations, visited the Manchester VA Medical Center and met with Acting VA Secretary Peter O’Rourke to discuss care for New Hampshire veterans and reforms in the New England Veterans Health Care Network, commonly referred to as VISN 1. 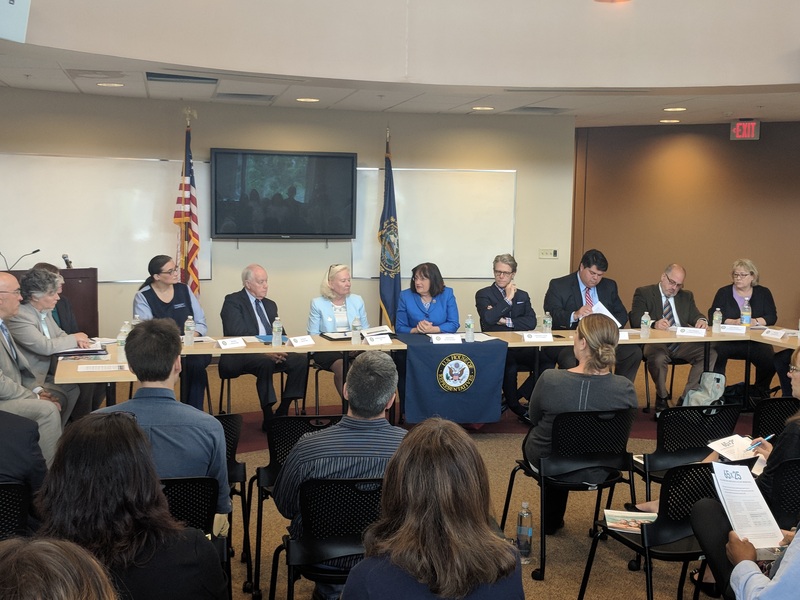 (Lebanon, NH)- Yesterday, at Hypertherm in Lebanon, Congresswoman Annie Kuster (NH-02) heard directly from Upper Valley business leaders about the employment landscape in the region and the types of programs that can expand economic competitiveness and opportunity in the region. Rep.
(Washington, DC) – Today, Representatives Annie Kuster (D-NH), Mia Love (R-UT), and Debbie Dingell (D-MI) applauded the passage of a key provision from their legislation to protect military survivors of sexual assault as part of the National Defense Authorization Act (NDAA). 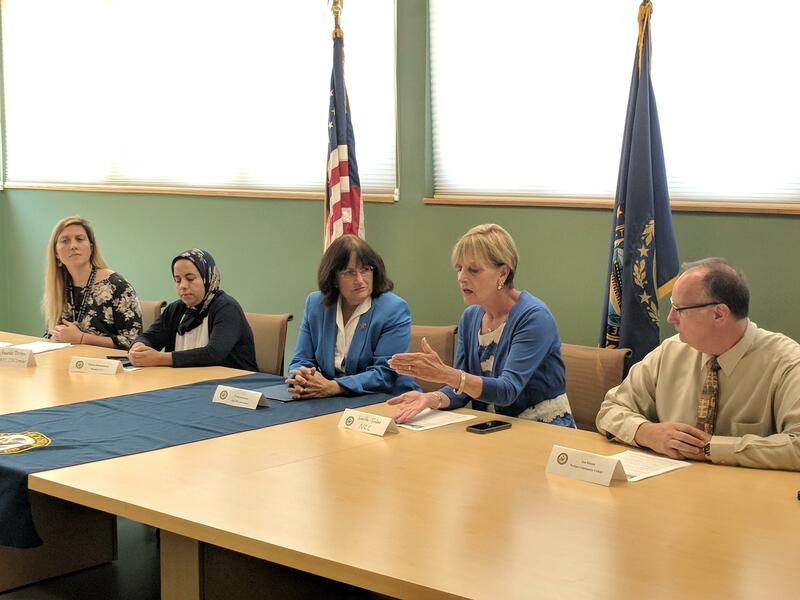 (Washington, DC)—Today, Congresswoman Annie Kuster (NH-02) released the following statement on President Trump’s decision to impose the domestic gag rule on the Title X family planning program, limiting the access women have to comprehensive healthcare services.